Tile Grout Repair – Can refinishing solve my tile problems? Do your concerns about tile grout repair have you thinking about removing and replacing your tile countertop or tile walls? 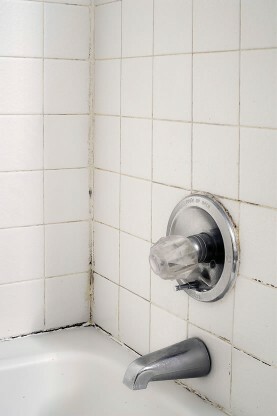 Tile and grout repair are part of the tile refinishing process. Whether the grout is missing or loose in places, it will be fixed when Miracle Method refinishes the tile countertop or wall. 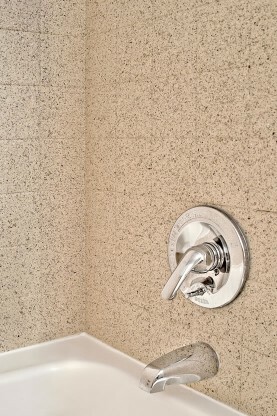 When grout repair is necessary, the grout is floated with a special quick set mix to fill in any voids or cracks. When the grout is dry, the tile is wiped down and Miracle Method’s MM-4 bonding agent is applied to ensure adhesion with the new coating. Only after this preparation is complete can the tile be refinished with new coatings. The end result is a new look with clean and even grout lines. The grout is now completely sealed, making the floor, wall or countertop easy to clean and maintain. Click on Find a Location or call our toll free locator number, 1-888-271-7690, to talk to a Miracle Method professional about tile grout repair in your kitchen or bathroom.